As award-winning green builders, we are proud that Legacy is considered industry leaders in sustainable construction and design. From constructing homes for optimal energy performance and increased water efficiency to sourcing local materials for sustainable design, our homes cater to buyers looking for a healthier lifestyle. Efficient site-specific design to create a low energy home translates to an annual reduction of between 10 and 20 Metric tons of CO2, the equivalent of removing two to four cars from the road for each year. appropriate for solar systems and microclimate. and erosion during construction through prefab installation. shaded by trees reduces water runoff and reduces heat absorption. No air handlers in the garage. Separation walls are well sealed. Use of low VOC paints, adhesives, sealants and wood panel products. using “breathable” exterior walls and interior venting. Construction does not support mold growth. used for landscaping reduces water needs up to 50%. systems with smart controllers and drip irrigation. include dual flush toilets and tankless water heaters. Components pre-assembled within a controlled environment. Use of local materials minimizes energy used in their transportation to the job site. through construction methods, modular design, and on-site recycling. Stained concrete, hardwood floors, high-quality window and door systems. performance tested to minimize water and air infiltration. Sustainably harvested wood, panel products made of recycled paper, glass agrifiber and cementitious panels. Options include electric heat pump or gas fired heating, forced air with tight ducts in conditioned space. 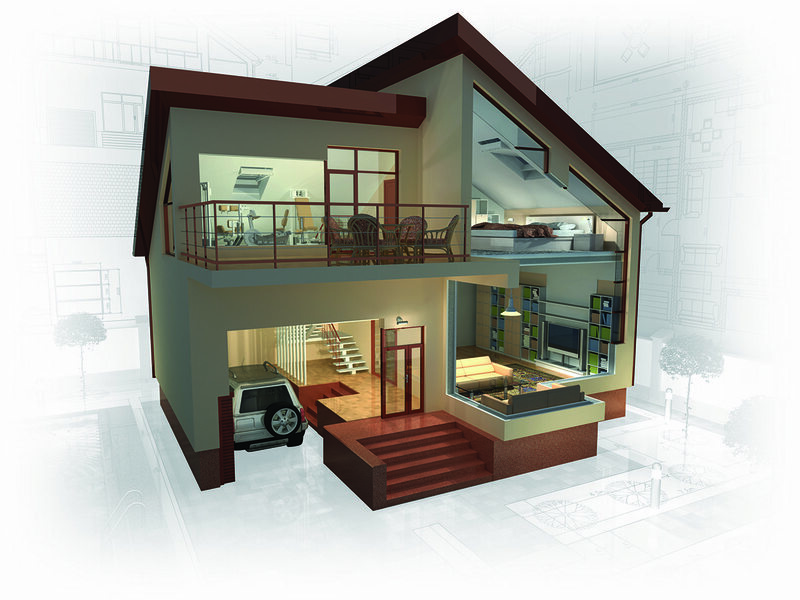 through efficient space planning, HVAC, appliances, wall, and roof design.